U.P. 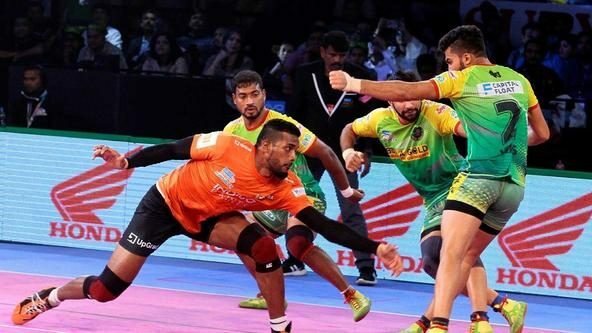 Yoddha’s raiders scored 26 raid points while allowing only 4 tackle points to help their team defeat Dabang Delhi K.C. 45-33 in Eliminator 3 at the Rajiv Gandhi Indoor Stadium in Kochi on Monday. This was U.P. 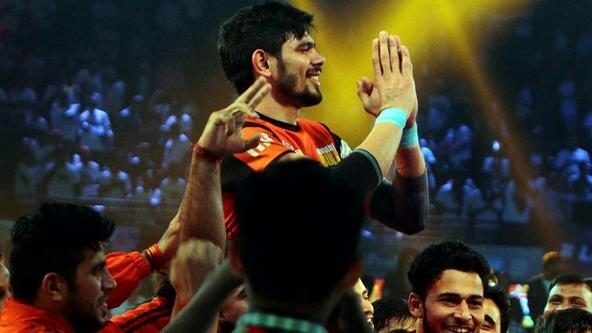 Yoddha’s eighth win on the trot in Season 6 of VIVO Pro Kabaddi and they will now face Gujarat Fortunegiants in a battle for a place in the final on Thursday. An early Super Raid by Prashanth Kumar Rai helped U.P. Yoddha take control of the game at 6-1 less than three minutes into the match. Rishank Devadiga then gave the team one of the fastest All-Outs of the season in just the next raid and a 9-point advantage in the process. Naveen Kumar gave Dabang Delhi K.C. their first touch point in the 6th minute but U.P. 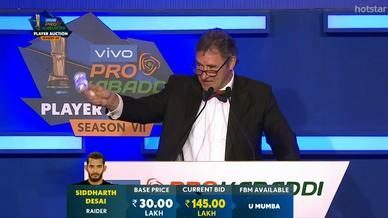 Yoddha immediately struck back, through Shrikant Jadhav this time, as all three of their raiders got raid points on the board. U.P. Yoddha then sent Chandran Ranjit, Naveen Kumar and Meraj Sheykh to the bench in quick succession and increased their lead to 11 points through Jadhav as the scores read 19-8 in their favour. Pawan Kumar Kadian came off the bench and managed to keep Dabang Delhi K.C. from another All-Out but a two-point raid from Jadhav and another successful raid from Devadiga immediately after helped them finally inflict the All-Out in the 16th minute with the scores at 25-10. Rai then added two more raid points to his kitty and both, Devadiga and Ranjit, got sent to the bench as the scores favoured U.P. Yoddha 27-13 at halftime. The second half saw Rai rise to the occasion once again as he returned three successful raids on the trot. However, Kadian managed to match him point for point while sending the U.P. Yoddha defenders the bench in the process. 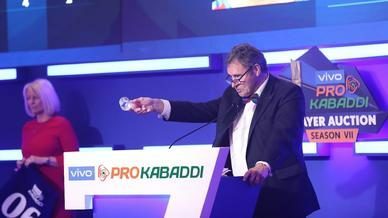 His two-point raid in the 6th minute brought Dabang Delhi K.C. back in the contest as they inflicted an All-Out and made it a 10 point game. But once U.P. 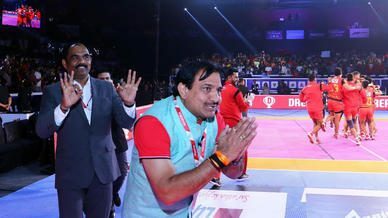 Yoddha took the mat, Rai’s excellent 5-point Super Raid which included a bonus and four touch points brought Dabang Delhi K.C. on the brink of another All-Out. The All-Out, U.P. Yoddha’s third of the night, came in the next minute itself as their lead increased to 18 points with just 10 minutes left on the clock. Naveen Kumar got a two-point raid in the 15th minute but a tackle on Ranjit followed by Devadiga’s successful raid helped U.P. Yoddha hold onto their big advantage. Kadian then pushed his tally to 5 raid points with two more successful raids towards the end and Naveen Kumar reached his Super 10 in Dabang Delhi K.C.’s final raid of the match. However, the lead U.P. Yoddha had built proved too big and Dabang Delhi K.C. finally succumbed to a 12-point loss.